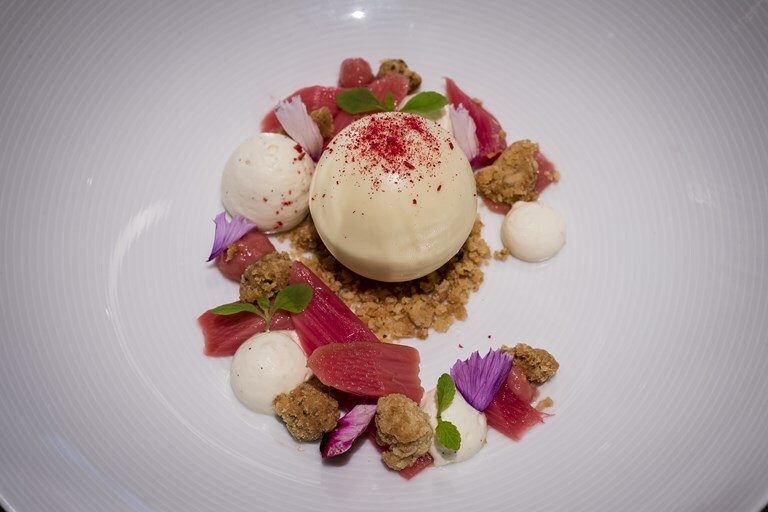 Graham Hornigold gives the classic comfort dessert of rhubarb and custard a dazzling update in this stunning recipe. Not for the faint hearted, there are various components to manage and some tricky steps to manoeuvre through, but the finished result will be worth the effort. When dipping the anglaise balls, make sure they are completely frozen and that the cocoa butter mix is very hot - this will help to get the thinnest coating that you can.